KIEV — Its certainly not how Ukrainian President Petro Poroshenko expected to kick off his final month of campaigning. Last week, just over a month before Ukrainians head to the polls on March 31 to choose a new president, journalists uncovered an embezzlement scandal involving military hardware that cost taxpayers millions of dollars. The revelations sparked outrage among voters and accusations of “treason” from Poroshenkos critics. The billionaire oligarchs chief opponent in the presidential race, former Prime Minister Yulia Tymoshenko, has called for the Poroshenko to be impeached. Three lawmakers have left his party in protest. The accusations strike at the heart of a reelection campaign centered on “army, language, faith,” denting Poroshenkos efforts to portray himself as a powerful commander-in-chief ahead of the highly contested March poll. The scandal “certainly undermines” the message the president has tried to get across, said Alyona Getmanchuck, director of the Kiev-Based think tank New Europe Center. In a country where accusations of bribery and fraud are typical election-season fare, accusations of corruption are playing an unusually prominent role. She noted that Poroshenko — who once famously proclaimed that he would “cut off the hands” of anyone caught stealing from the military, and oversaw a massive increase in defense spending, from about $3.3 billion in 2014 to roughly $7.8 billion this year — has portrayed the reform of the Ukrainian army as one of his most important legacies. Whether the allegations will be enough to derail his campaign is still unclear. In a country where accusations of bribery and fraud are typical election-season fare, accusations of corruption are playing an unusually prominent role. No candidate has emerged unbesmirched. February started out well for Poroshenko. He had rebounded in the polls and pulled into second place ahead of his longtime rival Tymoshenko and behind the politically untested but popular comedian, Vladimir Zelenskiy. Then came the bombshell allegations. The report, which aired on television February 25, was put together by investigative journalists from the independent Bihus.info group. The allegations concern Oleg Gladkovskiy, the first deputy head of Ukraines Security and Defense Council and a former business partner of Poroshenkos, and his 22-year-old son, Igor Gladkovskiy. The report alleges that the younger Gladkovskiy had, in partnership with two others, sold smuggled Russian military equipment parts to Ukrainian defense manufacturers overseen by his father at wildly inflated prices, costing taxpayers around $9.3 million. The journalists presented evidence in the form of text messages, contracts and documents they said were leaked by an anonymous source and later independently corroborated. Both Igor and Oleg Gladkovskiy have denied any wrongdoing. Its a dangerous case for Poroshenko. Corruption in the armed forces is an especially sensitive subject in a country at war with Russia and its separatist proxies. According to the United Nations, about 13,000 people — mostly Ukrainians — have been killed in the conflict with Moscow, which will enter its sixth year in April. Volunteers have crowdfunded supplies for the countrys soldiers, helping provide everything from boots and winter coats to sniper scopes and drones. Polls also consistently show the military ranking among Ukraines most trusted institutions. Embezzling from the war effort is an indefensible crime in the eyes of patriotic Ukrainians, according to Volodymyr Fesenko, who heads the Kiev-based Penta Center for Political Studies. Poroshenko is not the only politician under fire. As the race heats up, the interior ministry has received 1,871 reports of election-related violations and opened 89 cases, Interior Minister Arsen Avakov said last week. Some 454 reports involve Poroshenkos party. Another 353 involved Tymoshenkos camp, according to Avakov. As Tymoshenko was busy calling for Poroshenkos impeachment, a report by Schemes, an investigative journalism project at Radio Free Europe/Radio Libertys Ukrainian Service, revealed that the ex-prime minister has registered a number of suspicious donations to her campaign since June 2018. The origins of the donations, amounting to some $6 million, raised doubts about their provenance, in a country where allegations of corruption and undisclosed foreign backing run rife. Several of the supposed Tymoshenko donors denied making the contributions, many of which amounted to thousands of dollars — more than some of their annual salaries. The Schemes journalists found that several people contributed identical amounts, and one individual contributed identical amounts several times from banks in different cities. In some cases, entire families made donations on the same day, Schemes reported. The National Agency on Corruption Prevention announced last week that it is examining the financial statements of every party, including Tymoshenkos, and that more than 200 suspected “administrative violations” have been referred to law enforcement. 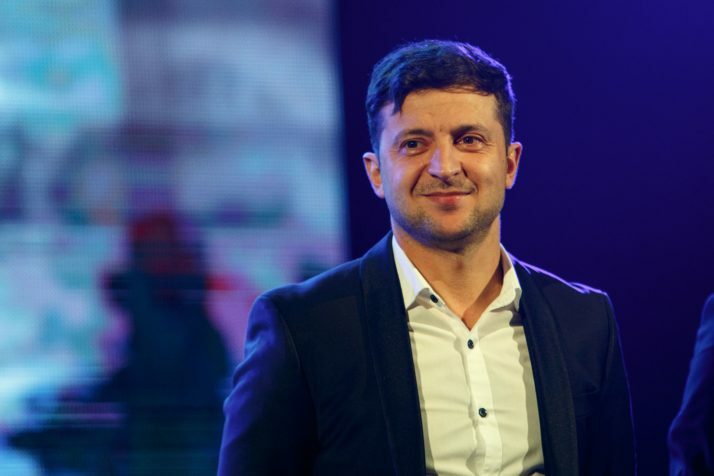 Amid the mudslinging, other candidates have risen in the polls, most notably the newcomer Zelenskiy, a comedian who plays Ukraines president on a popular TV show and is now running for the real-life presidency. Every independent survey conducted since mid-February has shown him leading the pack, and in some cases by as much as 9 points. Zelenskiy likely stands to benefit from the recent scandals, “as well as those opposition candidates who effectively sell Ukrainians the idea that the current political elite successfully make money on war,” said Getmanchuk at the New Europe Center. With Poroshenkos party in control of parliament, any bill calling for him to be impeached is highly unlikely to pass. Zelenskiy, though, hasnt risen to the top without a scandal of his own. Investigative reporters from Schemes in January uncovered evidence that his production company Kvartal 95 had been earning money from Russia since 2014, contradicting his earlier statements that he quit doing business in Russia after it annexed Crimea that year. Another potential beneficiary is Anatoliy Grytsenko, a former defense minister who has positioned himself as the only “honest” candidate in the race but has struggled to break into the top five in most polls. Days after the Gladkovskiy scandal broke, the former minister won the support of Lviv Mayor Andriy Sadovyi, who announced he was folding his presidential campaign to back Grytsenko. Its still too early to tell how the recent scandals will affect the election front-runners, according to Fesenko. Ukraines National Anti-Corruption Bureau has opened a probe into the Gladkovskiy case, but its results are unlikely to hurt Poroshenko ahead of the poll, as the investigation is unlikely to be completed before the first-round election vote on March 31. Tymoshenkos call for impeachment is similarly toothless. With Poroshenkos party in control of parliament, any bill calling for him to be impeached is highly unlikely to pass. That means no one can be discounted, said Aivaras Abromavicius, a former Ukrainian economy and trade minister. Poroshenko and Tymoshenko are both “fighters” with a number of “tricks” up their sleeves, he said. 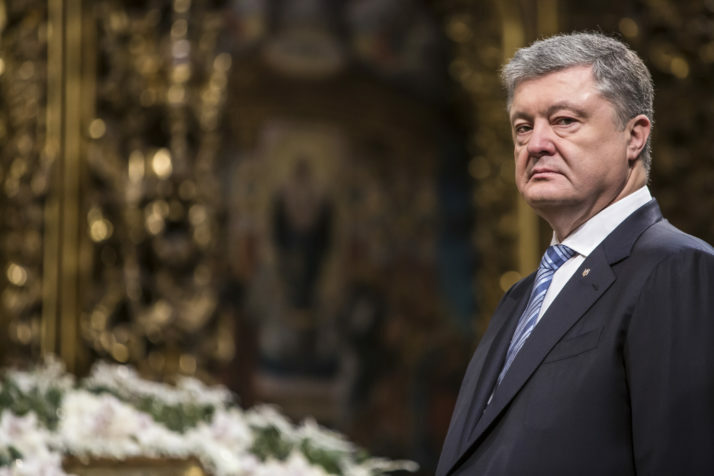 “And because administrative resources have a history of being used and abused in [presidential elections], which have given the incumbent the upper hand, Poroshenko especially cannot be counted out,” he added. In other words, Ukraine may not have seen the last election scandal before this months vote.